It appears that our very-necessary Secretary of State, James Brokenshire, has been or is moving around, consulting with all sorts of people about the past. Except one – loyalists. If this is true then it’s very regrettable. To say that the actions of loyalists played a major part in the recent conflict is like saying there’s apple in apple pie. Clearly their testimony would be highly important in any mapping of the past. There are two catches, apparently, in this matter. The first is that the DUP would claim to speak for loyalist communities, so there’s no need to have direct loyalist input to Brokenshire. This, I imagine, would be met with some protest from the PUP, who see the DUP as frauds not really in touch with the unionist working-class. So that’s catch No 1: who speaks for loyalism? The second catch is, if loyalist paramilitaries like the UDA or the UVF are permitted to speak for loyalism, that would amount to outlawed groups communicating directly with James Brokenshire. And while we’re on the subject, weren’t the UDA and the UVF supposed to have quit the scene years ago? A non-existent organization can hardly give testimony. Mr Brokenshire may well have explained what he’ll do when he has conducted all these consultations – it’s just that I haven’t heard what that’ll be. Will the families of victims gain the truth or even justice as a result of talking to the SOS? Or will they feel, like the Ballymurphy families, that talking to Brokenshire is a waste of time? 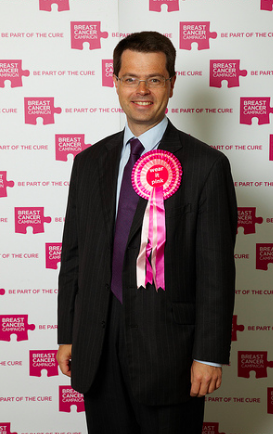 At the same time, don’t let’s underestimate James Brokenshire or the British government. By going around consulting, gathering the threads together, Brokenshire is playing the age-old British role of referee/facilitator. Left to themselves, these crazy Irish tribes would tear each other apart. Thanks be to God Britain is and always has been available, trying to bring peace between two savage groups during the conflict and now trying to gather information about the damage that one lot may have done to the other during the conflict. This may or may not be helpful to the people affected. But it certainly will behelpful to the British government, because it makes them near as dammit invisible. If you’re the one collecting the information, taking soundings, then you’re the one party that won’t be asked to provide information yourself. And if there’s one thing that the British government is very good at doing, it’s not providing information. Ask the Finucane family. Ask the Bloody Sunday families. Ask the Ballymurphy families. Was there ever a man more aptly named than Mr Brokenshire? I am afraid we have an even worse SoS than the last one. James Brokenarse appears to be as useful as an ashtray on a motorbike!!! Well they really reached the very peak of bland with the previous applicant, Theresa Villiers…(whatever happened to her?! )…I think she scaled that pinnacle of dreary monotony to the toppermost of the poppermost, finding allsorts of novel and extraordinary ways to have no opinion on very much at all . That rite of passage to hopefully better and greater things, in an as yet unwritten possible political future ,was negotiated with aplomb and her ambitions were only scuttled on the bleak stony shores of Brexit. The position seems to be one of pretending to be referee ,as you say, Jude; as if the British government had no input or opinion about anything as tawdry as the schemes of those warring “natives” over there…How did they get like that?…The wonder of it all…. What could they possibly be fighting about now? ….We’ve no idea at all….Nothing to do with us guv! Didn’t we send in a “peace-keeping” force and we couldn’t get back out of there for thirty years! It was a good training ground for our lads , of course, but it went on a bit too long , didn’t it? …..No , I think we’ve done our bit for those Orange and Green Paddies .Let them sort out that old mess, themselves. We might have started it ,but who’d have thought it would get so complicated., eh? Better to dip into a nice wee conflict which isn’t quite so close to home , really.A nice short and sharp tussle , somewhere a bit warmer, eh? so don’t say anything that might frighten the horses , eh? Was sired in the poverty of Hoboken, dire. Between united ire or James Brokenshire. The DUP don’t represent working class Loyalists but despite many Loyalists clearly saying they dont…..Loyalists keep voting DUP…..yup, very strange. Well its not really strange when you actually study it. The DUP and other Unionists have long brainwashed the Loyalist working class community. Some have even accused them of deliberately dumbing down Loyalists by refusing to encourage educational attainment. The DUP/UUP have very often stoked up Loyalists for their own agenda, the most recent example being the printing of 40,000 leaflets to spark off the Fleg protests. Upper class Unionists have always taught Loyalists that Catholics are the enemy. The likes of the Orange Order have always preached sectarianism and hatred of Catholics too. When election time comes political Unionism always preaches the line to their community: “If you don’t vote for us then you’ll let them’uns (Catholics) in”. Paisley was definitely morally responsible for many of the sectarian murders Loyalists carried out, due to his speeches. The worst has got to be this mind set that political Unionism has instilled in Loyalists, this mind set of: “We’re special, this is OUR country and only protestants have rights”. When you consider all this, its not hard to work out why Loyalists vote DUP/UUP despite the DUP/UUP doing nothing for them. Loyalists are fed a diet of sectarianism/fear and that’s why they vote DUP/UUP. David Ervine realized all this when he was alive. A well known active UDA Commander from Bangor was pictured with Theresa Villiers earlier this year when she was SoS. According to SpotlightNI, the DUP even asked an Alliance Minister to bypass normal procedure and give a grant to a group linked to the UDA. Has anything be said about this? No, its all been hushed up. The media are completely silent but if Gerry Adams farts the wrong way its headline news. The UDA/UVF are illegal organisations, the PSNI said they are still involved in drug dealing, intimidation, crime and even murder. That didn’t stop the DUP/UUP sitting with them for decades. That doesn’t stop them getting grants and being given jobs as “community workers”. I always did wonder…..why is Jackie McDonald not being arrested? He’s a known commander of an illegal organisation. But, as we have always known, the UDA/UVF are being run by Westminster. What is disturbing is how the media literally turns away and ignores all this. Exactly. They still insist on pretending they were “neutral”, despite literally tons of evidence proving they were waging a war against the Catholic/Nationalist population of the North and even murdering over 30 innocent people in Dublin and elsewhere. I think it was the late Tony Benn who stood up in Westminster and bashed MP’s for saying that there’s an “Irish problem” in the North of Ireland (yup, an “Irish problem”…..in Ireland….). Benn then said there wasn’t an Irish problem but a BRITISH problem in Ireland. I agree with the Ballymurphy families, it is a waste of time talking to the SoS. Indeed, do we even need one? I would say no. As Martina Anderson MEP said when Brokenshire was appointed: “all Secretary of States should keep their nose out of our business and stay in England”. I agree with her. I was thinking about Seamas Mac an Chontaebhriste –and it would seem that this poor craytur is lost in this new place to which he has been sent. He just does not have a clue – but then do any of them have a clue?